Grooming plays a large part in keeping your dog healthy. It stimulates the hair follicles, which obviously leads to healthier skin and also a healthier coat. Along with healthy skin and coat, and removing old and dead coat, it develops a better bond with your dog if done on a weekly basis. HOW DO I DO IT SUCCESSFULLY? Brushing your pup shouldn’t be a chore. Begin in short 2 minute bursts but be gentle. There’s no hard and fast rule about needing to brush your entire dog in one sitting. Start on an area that you know your dog likes and take it slowly from there. WHY SHOULDN’T YOU SHAVE YOUR ARCTIC BREED? Arctic breeds coats are bred that way for a certain reason. If kept well brushed and maintained, their coat acts to regulate their body temperature for them naturally. When you shave an Arctic breeds coat, you take away their ability to regulate their own body temperature, which can lead to hypothermia, overheating and death and also, on the opposite end of the scale, not being able to keep themselves warm, which can lead to hypothermia and the complications that go with it. Also shaving an Arctic breeds coat opens them up the sunburn, insect bites, possible cancer later in life and also, there’s a very high possibility that the coat may never grow back correctly. WHAT HAPPENS IF I DON’T BRUSH? Arctic breeds need a good brushing once a week. What happens if you don’t? Hotspots!!! What’s a hotspot? A hotspot develops when dead coat isn’t removed. The coat will begin to collect close to the skin, stopping the air getting to it. This in turn makes for an excellent ground to breed bacteria. Bacteria will irritate the skin to the point where the skin begins to ulcerate and become extremely itchy and it has a very pungent odour to it. 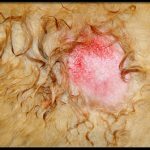 The fur will fall out of this area and if not treated quickly, the hotspot can grow rapidly and spread from the size of a 10c piece to the size of your fist, under 24 hours. WHAT PRODUCTS/TOOLS DO I USE? 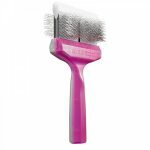 The Activet duo brush is the MASTER of all brushes, when it comes to an Arctic breeds coat. 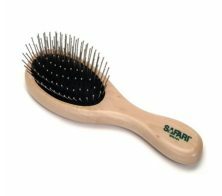 Although pricey at $140, once you have one of these, you will never need another brush in your grooming kit other than this. 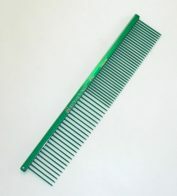 If the Activet is a little out of your price range, a simple comb and pin brush will do just as well but will obviously take you longer. When choosing a good shampoo and conditioner for your dog, makes sure it’s a good quality and ALWAYS, make sure that you’ve thoroughly rinsed all products from your dogs coat before completely drying and brushing. WHERE CAN I GO FOR PRO GROOMING? Monika Termann of Musky Paws, is located in Port Kennedy. She can be contacted on 0418 133 077 or via the business page on Facebook. Stella Vorster of HappY PawZ, is located in Marangaroo. She can be contacted on 0408 177 232 or via the business page on Facebook. Kate Riddle of Lil Paws to Big Paws Dog Grooming, is located in Ellenbrook. She can be contacted on 0431 960 714 or via the business page on Facebook.